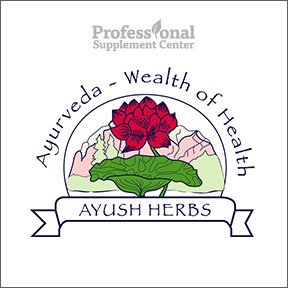 Ayush Herbs® combines the ancient principles of Ayurvedic medicine with the latest scientific technology to formulate the highest quality herbal supplements and essential oils. All products are formulated by Ayurvedic and Naturopathic physicians utilizing herbs that are naturally grown, harvested and wild-crafted in their pristine Himalayan habitat. The products are manufactured in the U.S. using ingredients grown on their own farms and processed at their wholly-owned, state-of-the-art ISO and GMP certified facility in Nagrota Bagwan in Himachal Pradesh, India. All production is overseen by a team of biotechnologists and physicians in temperature, humidity and dust controlled rooms to ensure that Ayush® provides fresh, safe, natural, unadulterated excellent quality products. All raw materials undergo testing for heavy metals and microbials before processing. Potency, label verification and efficacy is assured by third party independent testing of every formulation. Amla Plex – Formulated with a proprietary blend of 38 selected ingredients, including spices and herbal extracts, this ancient Ayurvedic recipe provides powerful immune and antioxidant support. It is designed to promote vitality and to support all bodily systems. Amla Plex offers nutritional support for all ages and is considered both a rejuvenate and an adaptogen. No added ingredients or fillers. Carditone® – One of our most popular producs from Ayush Herbs®, Carditone® is traditionally used to support blood pressure, kidney and cardiovascular health. No added ingredients or fillers. Ashwagandha – One of the most highly regarded and widely used Ayurvedic herbs, Ashwagandha acts as an adaptogen to support the immune system and to nourish and strengthen the body. Used as a daily rasayana, Ashwagandha supports physical and mental health, healthy sexual function and healthy metabolism. No added ingredients or fillers. Macuna Plus – Based on an ancient Ayurvedic recipe and designed to provide cognitive and nervous system support, this product contains a proprietary blend of standardized extracts of valerian, ashwagandha and centella asiatica. No added fillers or ingredients. Curcumin 97% – This formula contains 97% pure curcuminoids to support a healthy inflammatory and metabolic response and to provide important antioxidant, detoxification and healthy brain support. No additional ingredients or fillers. This entry was posted in Home and tagged Amla Plex, Ashwagandha, Ayush Herbs, Carditone, Curcumin 97%, Macuna Plus. Bookmark the permalink.